Combined they have over 20 years of experience working with start-ups, small and medium-sized businesses in a wide variety of industries, covering everything from FMCG, NFP, tech, health & fitness, professional services and retail. Together, they have conquered the corporate world (and then thankfully, escaped it! ), started multiple successful businesses on the side, contributed on various executive teams, and have been integral in advising and growing various start-ups and small businesses from seedlings to now successful multi-million dollar companies. Aaron started his career in the Private Clients Division of Big 4 Accounting Firm PricewaterhouseCoopers advising small to medium businesses on everything from structure, strategy to preparing financials. In 2012 he won the National Private Clients Entrepreneurship competition. This lead to the co-founding of two online businesses in the fashion and health space. Aaron is a Chartered Accountant by trade but entrepreneur by truth. Constantly keeping abreast with latest trends, high-flying businesses and the next big deal he is sought out for his consumer-focused outlook and broad range of skills from retail to social media, technology and finance. Benson started his career as a Property & Commercial lawyer, but drew on his employment law expertise to make the career switch into People Strategy at one of Australia’s largest energy companies. 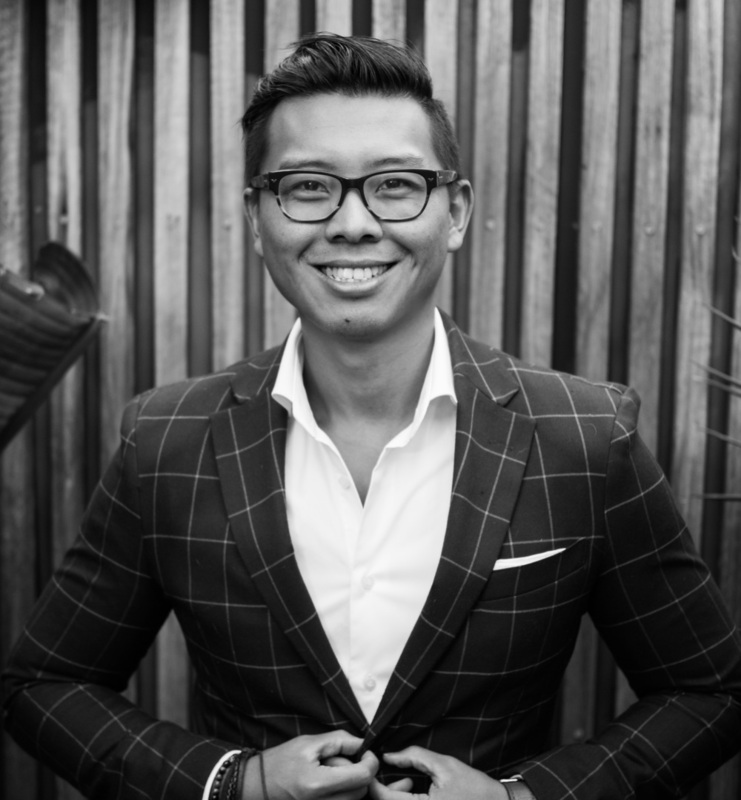 He was head-hunted to be part of the Executive team at Thankyou Group, one of Australia’s leading start-ups that has been locally and internationally recognised for its innovative and ground-breaking business approach. Benson has a proven track-record of successfully helping businesses set up effective internal structures, systems, resource banks, policies and processes that provide a strong platform for immediate and future growth.